We have all been happy using a clean bathroom, especially when it's freshly cleaned, noon rejects to shower in the clean and tidy bathroom, but once it's dirty, no one is willing and ready to clean it or at least wash it to look like the way it was before everyone started using it. It's all about having a firm strategy to keep your bathroom clean and tidy at all times. 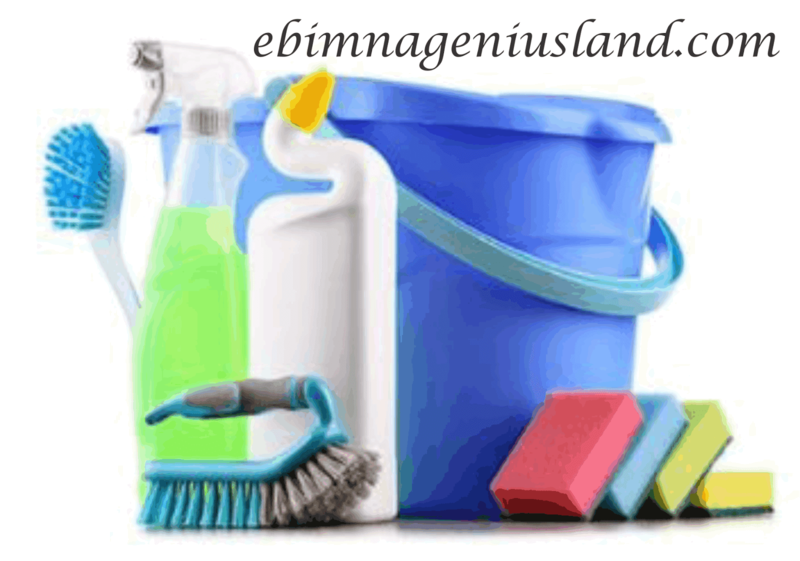 Ebimnageniusland guarantees you an easy way and strategy to clean your bathroom and keep it tidy at all times, just within a couple of minutes. Right there inside the bathroom, before you begin your main cleaning session, all you need to do is to get your cleaning supplies ready, don't call someone to help you get any of them while you are already started cleaning because it's not proper, you might hurt someone you love in the process, or you might get hurt as well, how can i get hurt? It's either the water on the floor, pushes you to the wall, or it could push someone you love to the wall because the floor is already slippery. Just gather these following types of equipment for a better cleaning and tidy bathroom, Ebimnageniusland recommends you to getting all-purpose cleaner, gloves, a scrub brush and bucket, plenty of clean rags a broom, glass cleaner, disinfectant wipes, and toilet bowl cleaner- these types of equipment should do the cleaning. The shower is one of the easiest places to clean, which is the everyone's favorite to clean even when you are not told to clean it off, you will feel glad to do it, coz it's very simple and doesn't get dirty easily. You should never forget to use warm water, soapy water (add bleach, a tub cleaner, or another similar cleaning agent if you really want to get things looking fresh, clean and pristine. All you need to do is clear off all the toilet surfaces, and everything on it, keep them at a particular place aside, then after you must have been through with the cleaning, you can arrange them o their appropriate positions. This is one of the most important points in the cleaning part of a bathroom because it is used almost every minute of the day. You will have to use a disinfectant wipes to wipe down the faucet, drain, and surrounding area – not only will this help get things sparkling clean, it’ll also get rid of any lingering bacteria. You must provide yourself with more than a towel, It's the best way to clean a toilet and bathroom, so as not spread the bacteria in the bathroom, all you need to do is to change the towel, pt the other previous towel inside a bucket and add disinfectant, and leave it there for some time and continue with your cleaning with the next towel you replace it with. If your bathroom must look tidy, the major part of the bathroom to meep clean is the toilet, you must have to tackle the toilet, put gloves on if you haven’t already. Take a paper towel or microfiber cloth and wipe down the tank, and the top and bottom of the rim, flusher, and lid. Never forget to wipe down the base and area behind the toilet, this particular area is mostly being neglected while doing any cleaning in the toilet but its one of the key major area, that bacterias can hide unknown to us. Happily for me, you are almost done, all you need to do is to tidy up other remaining grounds, sweep the floor, arrange all the toilet surfaces that you were told to keep aside in our Step 3 then clean off the whole floor and dry it with a different dried towel, then leave the bathroom windows open, for fresh air to penetrate, then you can enjoy a happy and clean bathroom. I hope we made you happy, please if we miss any of the steps, you drop more steps for us in the comment box. This was really helpful, especially step 5, I always clean everywhere with just one towel without replacing it.